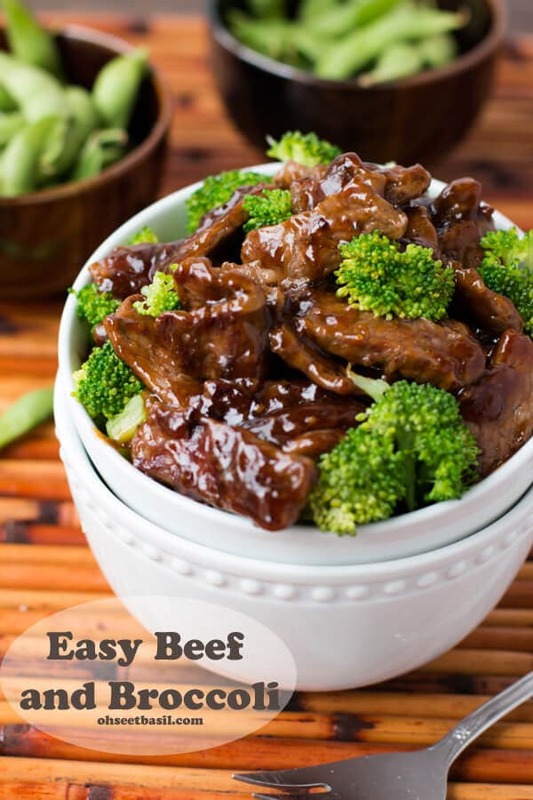 This easy beef and broccoli recipe is one of our favorite easy dinners to make and it all comes together in around 20 minutes! 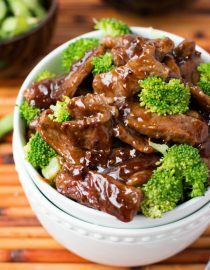 So, we had actually planned to have this easy beef and broccoli recipe with some sticky rice, but we had a little adventure that kept me out of the pantry. And by adventure I mean, I’m a total chicken was way too scaredy pants to risk getting the rice out. 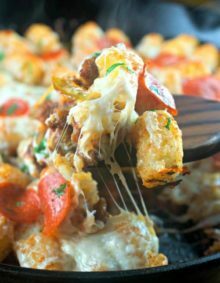 We made this recipe last Friday and while I was getting everything ready our oldest daughter had the task of pulling everything out of the pantry so we could wipe down the shelves and reorganize. Suddenly she screamed that there was mold and she wasn’t touching anything. I couldn’t imagine that there was so I walked over and there were these little brown things in the shape of sprinkles. I immediately thought we had a mouse and would not dare go in the pantry until Cade came home. The sad thing about mice is that both Cade and I don’t like them. Cade had a bad run with his brother in law and baby mice that has totally ruined him and I just can’t stand the little critters. So, I made beef and broccoli and we totally skipped the rice. Cade came home and checked things out… the mouse poop ended up being seeds from our Dave’s Killer Bread and I was pretty much a total fool. 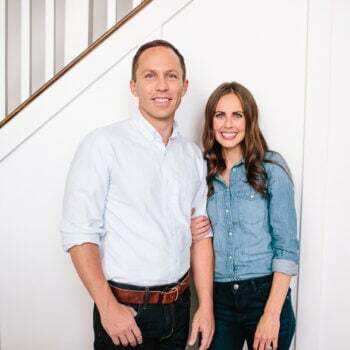 We all had a good laugh and I learned my lesson, cleaning out the pantry more than just 3 times a year is a must to avoid future awkward moments. Can You Eat Broccoli Stems? Broccoli has two main edible parts, the florets — the dark green forest-y tops which are actually undeveloped flower buds — and the stalk. Many people do not eat the stalk, but the stalk is actually good, and good for you. Gram for gram, the stems contain slightly more calcium, iron and Vitamin C than the floret. Broccoli stems and florets must be blanched before freezing. This 3 minute quick-boil keeps the broccoli from becoming bitter when frozen. What is A Flank Steak? Flank steak is lean and flavorful, and should be thinly sliced against the grain when carving. Flank steak may also be called London broil or skirt steak. 1 head of broccoli, steamed and seasoned with salt and pepper. In a saucepan over medium heat, add all of the ingredients except the cornstarch and water. In a small dish, whisk together the cornstarch and water and slowly, while whisking the sauce, pour in the cornstarch. Continue to whisk and bring back to a boil. Turn down to a simmer and allow to cook for 5-8 minutes. Meanwhile, heat a grill pan or skillet over medium high heat. Add a drizzle of olive oil and add the meat, making sure not to crowd the pan. Place on a plate and tent with foil while the sauce finishes. Add the beef and sauce together, tossing to coat, as well as the broccoli if you wish, or just add the broccoli to the bowl. This particular olive oil enhances the flavor of the meat which is why we chose to use it. Trying to keep things out of the fryer? 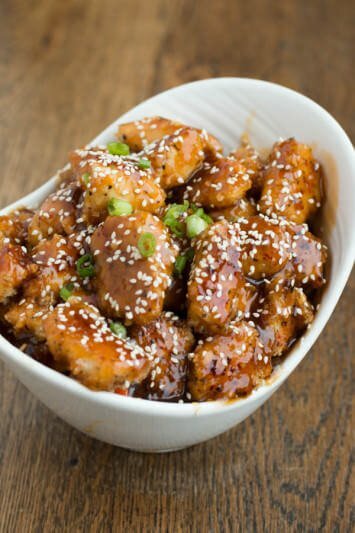 This baked sesame chicken is a healthier favorite! Why do recipes that have beef as an ingredient use chicken stock instead of beef stock??? You can totally use either, we just like the way the chicken tastes in the sauce for this one! for the chili paste is it okay to use Sriracha? Yes, but it will be quite spicy. If you like spicy, then go for it! Way Way too much salt!!!! Is the amount of ground ginger 1 teaspoon AND 1/4 teaspoon or 1/4 teaspoon? Thanks! Hi Heidi, it’s 1 and 1/4 teaspoon. Thanks for asking! Hate mice too!!! Rats are in same category. This looks super yummy. As for all who scream about healthy, try another website or make the changes you want. Not everyone needs to accommodate your dietary issues. Stop expecting everyone to jump through hoops for you. Offended? Well, too bad. I’m offended that you’re offended. This site always satisfies. Thank you for another wonderful idea. P.S. I’m using rice. I just cleaned out my pantry. We had an ant issue but we wrangled them into an ant trap and all our food was safe because we use air tight containers. 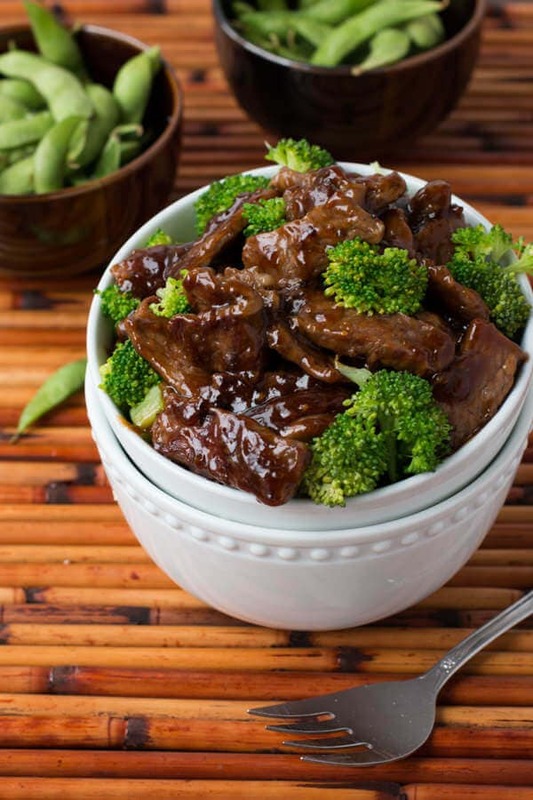 Soy Sauce and brown sugar are hardly ingredients in a healthy recipe! Why not a healthier version for those of us on healthy, no-sugar, low-salt restricted diets? Thanks! I love beef and broccoli, but I would try it with chicken also. Thank you for sharing. Thank you!! And we hope you will keep coming xoxo! This is soo good. Made this last night and my hubby and kids loved it. I read some of the comments and went a little shy on the soy sauce. Next time I will add onions and carrots with the broccoli! I have made many Asian dishes and this by far was my favorite. 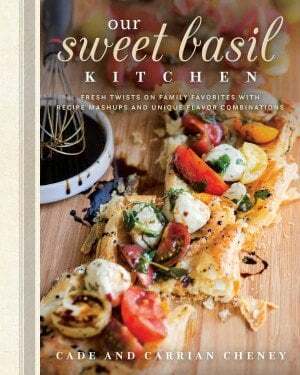 I cannot wait to try your other recipes now! Thanks!! I also used Ribeye meat and it turned out great! Yay! I’m so glad! And I bet ribeye was wonderful! I have to say, I absolutely love the taste of this sauce! I taste like legitimate Chinese takeout. I did make some adjustments because I didn’t have chili paste and so I used chili oil. 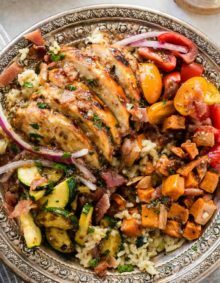 This was my first recipe from the site, but now I want to see what else you have posted. Thank you for sharing! Oh I love that it turned out with chili oil! I’ll have to try that myself now! Thanks so much! The dish looks great. Your ingredients authentic. Sad that there were so many mice comments. Especially when there were no MICE. Most of us do not like mice because it makes us feel we have not done a good job of being clean. And what do they carry with them! You handed the first comment like a very gracious lady. Good job. thank you Alice! That means so much to me. After reading the open story about Mice. How the hell can I or anyone actually make any one of your recipes? All I could think of is DISGUSTING. And then there were no mice or mice poop… but James making a fuss about nothing. I’ve made this a few times and it is amazing. I also made the sauce (minus the cornstarch) and marinated chicken wings in it. As I was grilling them, I basted them in some reserved sauce. It was delicious! Thank you so much for this recipe! I love the idea of using it for wings! So glad! Thank you so much! 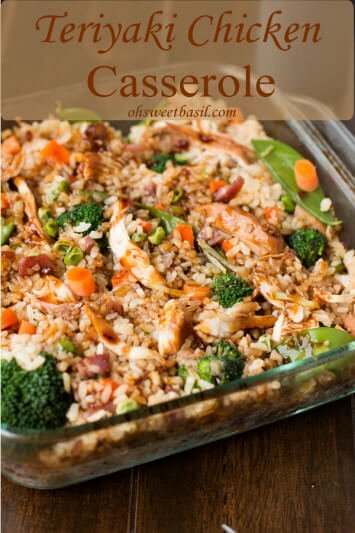 truly delicious looking dish and looks easy enough to make. So easy, hope you enjoy! 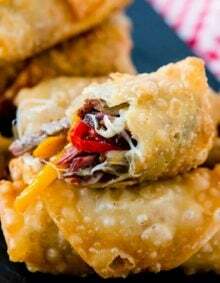 I made it with beef the first time, but it can be adapted to anything! I have a pescetarian boyfriend and it’s also really good with fried tofu or shrimp. That sauce is so versatile. Oh I love that it worked well with the fried tofu! I’ll have to try that! First time making beef and broccoli. Very easy and good, I might cut the sugar down just a bit because I like to follow a Paleo like diet. Thanks Stacey! Keep me posted on how it goes. If you don’t have low sodium soy sauce can you just use less of regular soy sauce? Unfortunately it still ends up a bit too salty for our family, but it may not bother you. if you don’t have light soy sauce you can just make your own by boiling a bit of water and soy sauce until they combine (it takes only a few minutes) and then let it cool down. That’s at least how I make mine (to make one cup: a quarter water (maybe actually a bit more), 3/4 soy sauce; adjust the amount of water to taste). That’s so great to know! Thank you! Our family enjoyed the meal. Next time we make it, we’ll reduce the soy sauce amount. Otherwise, it’s two thumbs up on our end! Why would u be scared of a mouse? Skunk, yes! Lion, tiger, yes! Because I’m a chicken and they are gross. Haha. I have no good reason. Y r women scRed of mice? Skunks, lions, tigers, rhinos…they scare me. 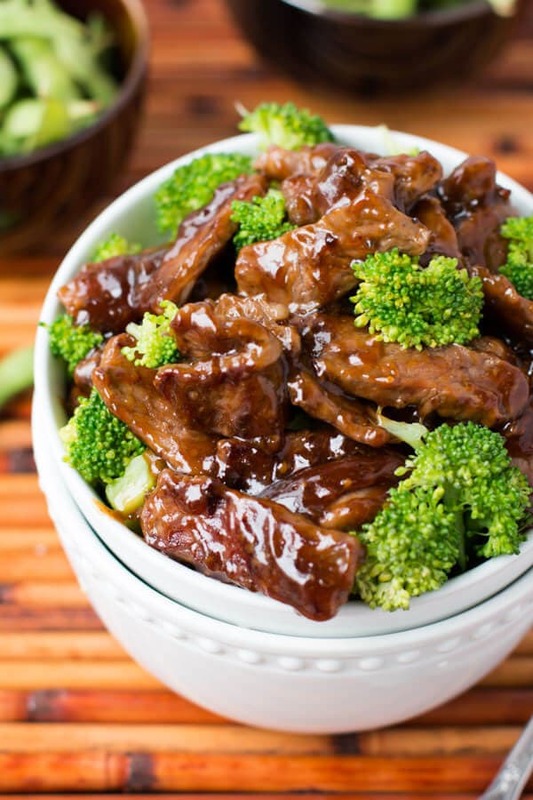 That beef and broccoli looks so good! What a fabulous dinner! I love beef and broccoli!